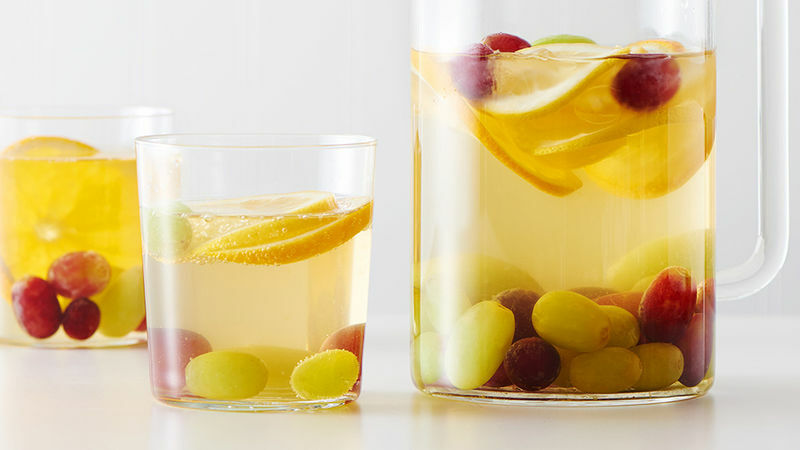 Fill a 64 oz pitcher with grapes, orange slices and lemon slices. Top with ginger ale and grape juice. Serve immediately. Double the amount of grapes and fruit for an extra beautiful looking pitcher of punch.